Serving the greater Houston Metropolitan Area since 1977, we provide general legal services in both civil and criminal law. Areas of practice include Family Law, Real Estate, Wills, Estates, Probate, Trusts, Corporations, Contracts and Transactional Law, Civil Litigation, Criminal Law (felony and misdemeanor), Juvenile Law, Social Security Disability, and Elder Law. 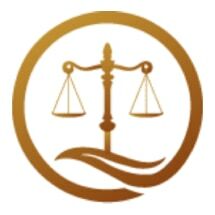 Although we represent and counsel clients statewide,we primarily provide legal services to individuals and small businesses in the Houston Metropolitan/ Galveston area. Our office is located at 1414 South Friendswood Drive (State FM 518) in Friendswood, Texas 77546. This location near the intersection of FM 518 and FM 528 is convenient and accessible to the entire upper Texas Gulf Coast. This website is currently under construction, and will be more fully functional in the coming days as more features are added. Thank you for visiting, and come back soon.